TRANSFORMATION. Adolescence is an important season of our life. It is in this transitional phase that our personality emerges and we form ourselves as individuals in the society. It is by far the greatest physical, mental and psychological time of transformation of all our existence. POTENTIAL. The Wado karate practice – for its balanced and complete training system, for its ability to strengthen character, self-esteem and self-control, and for its high educational value – is perfect to develop the teenagers’ potential. CHALLENGES. 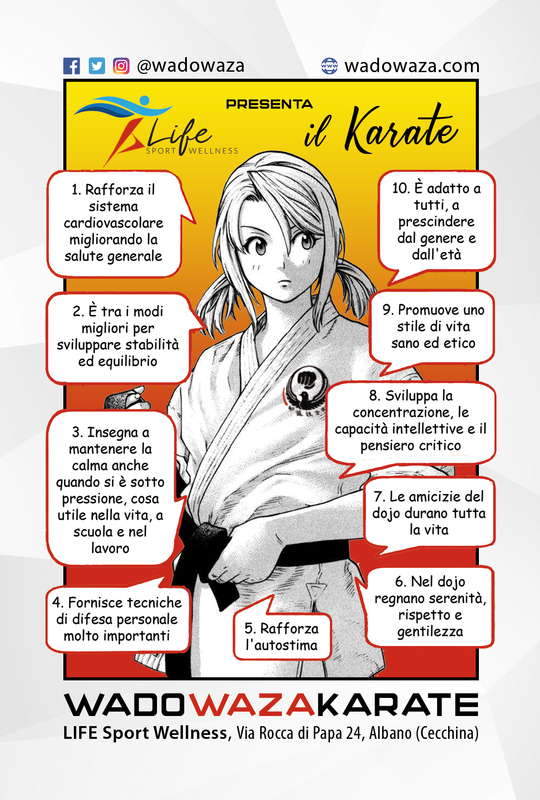 In order to encourage this path of growth and help them to meet the challenges awaiting for them, it is important that, even in the practice of karate, teenagers can immediately confront the world in which they are facing: the world of adults. PERSPECTIVE. Therefore, once they are thirteenth years old, we encourage them to join the evening adults class. In this way, they are able to work on the most advanced techniques and personal defense applications, while they can train with greater propensity to competition and practice in a more appropriate and challenging context, useful for their growth’s prospective.